Since our launch, we've placed women and people of color in positions throughout the nation. Devi Sandhu is a recent placement for EnviroIssues (Seattle, WA). Learn more about Devi and EnviroIssues below. Our outcomes are reflective of what our customers care about. Your success is our success. We understand that and measure the things that matter. We are not your everyday executive recruitment firm. We serve communities first. And, we believe in measuring our social impact. Click the link below to review several of our outcomes. As one of the leading diversity executive search firms in America, we pride ourselves on delivering measurable results. Our time to first candidate is below 30 days, and we have filled 100% of our clients' executive needs. Third Sector Capital Partners, a 501(c)3 nonprofit advisory firm, has a seven-year track record of collaborating deeply with communities to re-write how they contract for social services, re-aligning vast amounts of public resources to move the needle on social problems. 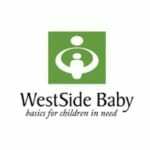 WestSide Baby is a nonprofit organization that collects new and used items for children and babies and distributes them free of charge to King County families in need. We work with local social service agencies assisting low-income families. WEconnect was born out of the motivation to find solutions for thriving in recovery and improving the lives of others. The company's mission is to save lives, provide accurate outcomes data, and support healthcare ecosystems, communities, and families. KCHA provides rental housing and assistance to more than 55,000 people. This quality, affordable housing supports health and self-sufficiency. Our community centers and educational programs help children succeed in school and in life. The Management Trust represents more than 1,500 community associations nationally, providing innovative concepts for their development and operation. Since 1951, Friends of Youth has been helping young people in challenging circumstances get their lives back on track. Today, Friends of Youth positively impacts over 5,500 youth and young adults ages 6-24 and their families each year, operating facilities and programs at 21 sites in 18 cities across the Puget Sound region. EnviroIssues was founded nearly 30 years ago with the belief that it was not only possible but absolutely critical to effectively engage the public in conversations about the policies and projects that would change their everyday lives. For over 100 years, Senior Flexonics has developed innovative products and processes to meet and/or exceed our customers’ needs and requirements. By applying these competencies to our customer’s challenges, Senior Flexonics has evolved into a multi-industry corporation spanning the globe. For information regarding launching a new search, please contact us at info@diversityrecruiters.com.